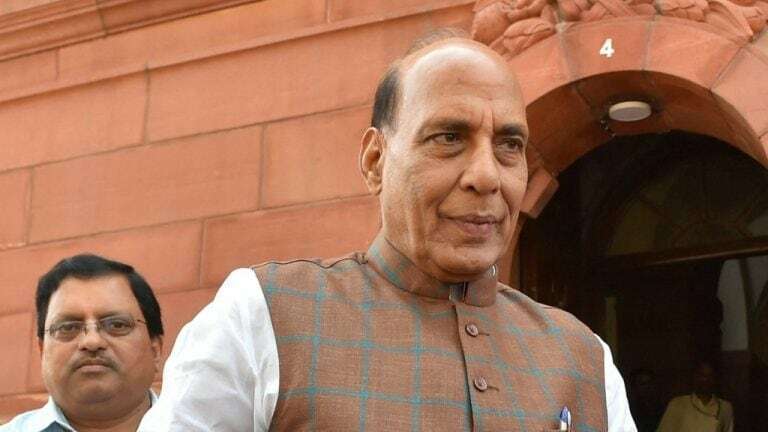 Rajnath Singh, who made an aerial survey of badly affected areas in Idukki and Ernakulam districts, said the rains and floods had caused "massive damage" to the farm sector and infrastructure like roads and power. "Kerala is facing an unprecedented flood situation. It is unprecedented because never before in the history of independent India has Kerala witnessed such massive floods," he told reporters here. He was speaking after reviewing the situation with Chief Minister Pinarayi Vijayan, Minister of State for Tourism Alphons Kannanthanam, state ministers and senior officials. Singh assured all help from the Centre to meet the "very serious situation". The state government submitted a memorandum to Singh, seeking urgent sanction of Rs 1,220 crore from the National Disaster Relief Fund (NDRF) to meet the situation. In the memorandum, the Chief Minister said preliminary estimates suggested that Kerala suffered a loss of Rs 8,316 crore in the rains, floods and landslides. Singh recalled the flood situation in Kerala last month and said that just before he came to the state today, he sanctioned release of the second instalment of Rs 80.25 crore in advance for the State Disaster Relief Fund. The first instalment of a similar amount of the Central share of SDRF for 2018-19 was released last month, he said. "The Centre is extremely sensitive to the needs of Kerala at this critical juncture," he said. The Minister said three teams of NDRF had been pre positioned in Kerala during the current monsoon season. "Eleven more NDRF teams have been deployed in the state, taking the total number of NDRF teams to 14. If needed we will press in additional teams," Singh said in a tweet. Earlier, Singh visited a relief camp at Elanthikkara in Paravur Taluk in Ernakulam district. "Today we conducted an aerial survey of flood affected areas with the Chief Minister and I reached the conclusion that the situation is very serious in Kerala due to floods," he said. "And I would like to assure the state government that all sorts of support will be provided by the central government to meet the challenges of the flood situation," he said. Singh also heard the grievances of people who lost their homes and land in the floods. The Minister made an aerial survey of areas affected by landslides and rains in Idukki and Ernakulam districts. He was accompanied by Vijayan, Alphons, Chandrasekharan and Additional Chief Secretary P H Kurian. After a brief lull, rains started lashing several parts of Kerala since this morning, posing problems to relief work by multiple agencies in flood and landslide hit regions. However, water level in Idukki and Idamalayar dams reduced, bringing some relief, with authorities saying there was no need for people living downstream to panic. No fresh casualties were reported since yesterday and the toll in the rain-related incidents since the current monsoon fury from August 8 stood at 37, officials said. Thousands of people have been accommodated in relief camps set up in different areas, including in Wayand, where over 14,000 people had been sheltered. Ten columns of the Army, a unit of Madras Regiment along with personnel of the Navy, Air Force andNDRF are engaged in relief and rescue work in badly-hit districts, including Kozhikode, Idukki, Malappuram, Kannur and Wayanad, Defence sources said. The National Disaster Management Authority had yesterday warned that heavy to very heavy rains were expected in 16 states, including Kerala, till tomorrow.